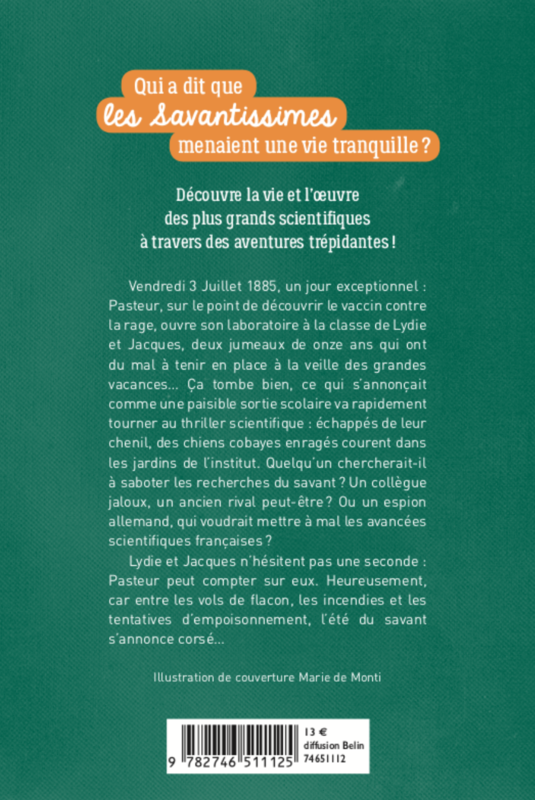 Find out about the life and work of Pasteur in this fast-paced thriller! 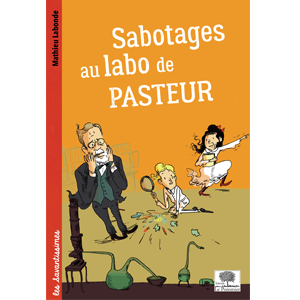 In July 1885, two 11-year-old twins, Jacques and Lydie, are on a school outing to the Pasteur’s laboratory in the in Paris. While they are there, the dogs being used for tests escape from their kennels. All of them are carriers of rabies or other diseases and they run around in the laboratory! Jacques heroically stops one dog from jumping up at Louis Pasteur but he twists his ankle in the process. 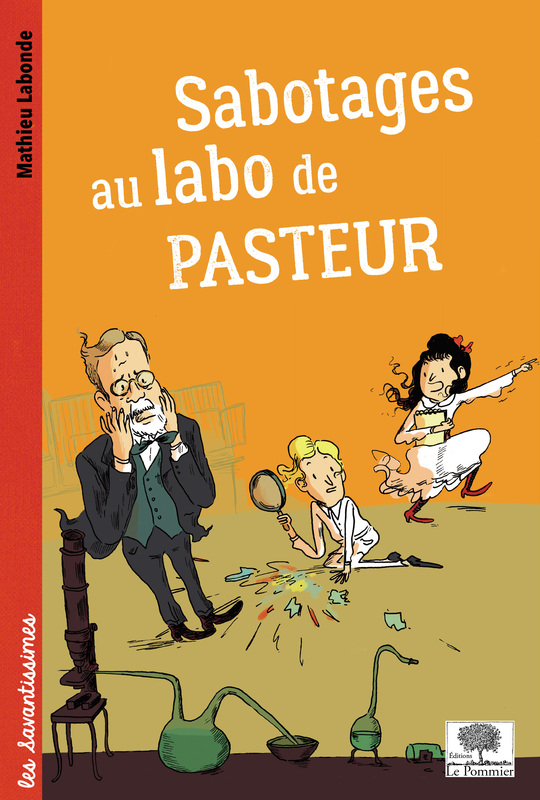 To thank the children, Pasteur invites the them to return to the laboratory a few days later. The twins end up spending the whole summer there and witness events that are as worrying as the dogs’ escape – some vaccine is stolen, a fire breaks out, the dogs get poisoned… Who is sabotaging Pasteur’s research? The investigation must be conducted! 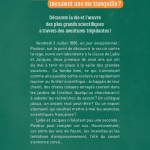 An opportunity for Jacques and Lydia to understand the functioning of the vaccine and to discover the life and work of Pasteur. Adventures that are anything but a rest!